MILAN (Bloomberg) -- Fiat Group plans to begin making Jeeps in China by late 2015 after reaching an agreement with local partner Guangzhou Automobile Group. Fiat and Guangzhou Auto will produce three new Jeep vehicles in the southern city of Guangzhou, Chrysler said in a statement. The joint venture will soon finalize its production plans, which the company said could include a Jeep uniquely designed for China, the brand's second-largest market after the United States. The project will enable Jeep, which in 1983 became the first foreign auto brand to be assembled in China, to restart production in the world's largest car market after ending output there in 2006. Tapping into rising global demand for the SUV nameplate is part of Fiat CEO Sergio Marchionne's growth strategy as he merges the Turin-based manufacturer with Auburn Hills, Michigan-based Chrysler. 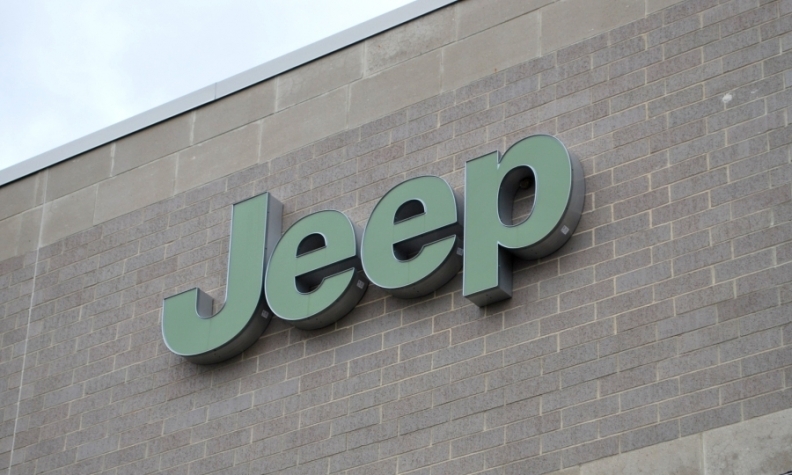 In the statement Marchionne said the deal "represents the next chapter in the proper utilization and expansion on a global scale of the Jeep brand." Marchionne, 61, is targeting more than 1 million Jeep deliveries worldwide this year, amounting to a jump of at least 36 percent from the record 731,565 SUVs sold last year, as the brand adds models. The Renegade, a small SUV based on the underpinnings of Fiat's 500L subcompact, was unveiled at the Geneva auto show in March and will be built at Fiat's plant in Melfi, southern Italy. Chrysler, Fiat and Guangzhou Auto reached a preliminary accord in January 2013 on building Jeep models in China. The country's government separately approved the Chinese and Italian partners' plan to invest 4.7 billion yuan ($755 million) in a new factory with capacity to build 60,000 vehicles a year. Fiat and Guangzhou Auto, based in the southern Chinese city of the same name, already build the Viaggio sedan together in the country and are adding the Ottimo hatchback this year. Marchionne said in March that the merged Italian-U.S. manufacturer, to be called Fiat Chrysler Automobiles NV, may eventually boost annual deliveries from today's figures by as much as 55 percent to 7 million vehicles, helped by Jeep's growth. The company is unlikely to produce Jeep's large Grand Cherokee model or smaller Wrangler in China, but "anything in between is possible," the CEO told shareholders.